NTI is a leader in multiple display computer systems and accessories. We have a solid worldwide presence and our unwavering dedication to supreme quality is what sets us apart. We are paving the way to the future as ever changing technology unfolds. Based in southwest Florida, we specialize in high quality multi display computer systems for control rooms, business workstations, stock traders, CAD designers and more. Our Company is most well known for our popular QuadStation computer systems which we ship worldwide. NTI has been in business for 24 years and we are continually expanding our product lines. Our stellar reputation was built by providing only the highest quality products available without compromise. NTI works with businesses large and small to help create a more productive working environment with the use of multi-display technologies. We understand that a business should be focused on the relationship with the customer. That is why we are committed to providing you with the highest quality personal service at all times. 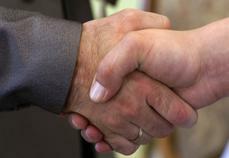 Once you become an NTI customer, you are establishing a long term business relationship with a company you can trust. Experience – Our company has over 23 years of solid experience in multiple display technology. Since 1995 our engineers have worked continuously to improve our products year over year. Communication – We always encourage open communication with our customers before, during and after the sale. You will be kept well informed on your order throughout the production process. Honest Advice – When you speak to our sale or support team, you will always be treated with courtesy and get straight forward, no nonsense advice from our representatives. No-Nonsense Support – If you need to call in for support, our whole team gets involved. We combine our resources to provide you with the fastest solution to your problem every time. When you need help you expect honest, straight answers that will resolve your problem. That is what you will get with our support team and we stand behind our products 100%. ….and thousands of financial traders and trading firms worldwide. 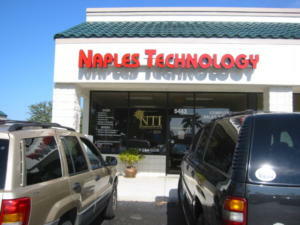 This was NTI’s old retail store location in 2004. We were here for about 6 years serving the local community. This was about when the internet really started taking off as we began to build out our website and move our business more online. Our online business began to far out pace our brick and mortar store so eventually closed this location and moved 100% online. This expanded our customer base outside of Naples, FL to not only the entire US, but internationally. We have always appreciated every customer since we opened our doors on day one. If you have any questions please do not hesitate to contact us today!